This week, the third and final inductee to the Drum Corps International Hall of Fame Class of 2010, renowned composer and arranger Robert W. Smith. He shares his memories of the former Florida-based corps Suncoast Sound, as well as some thoughts on the past, present and future of the drum corps activity. 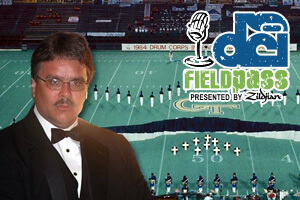 Plus, DCI's Dan Potter has your suggestions for future members of the Hall of Fame. And lastly, clear your throat and warm up your vocal chords, inspired by one of the newest Hall of Fame inductees, we've got a brand new Field Pass contest for you!